There has been a lot of talking about Uber lately in Brussels, in Italy, in India, in Spain. Basically everywhere where this mobile-app-based transportation network is spreading with success. Uber’s success struck the world’s taxi business like a lightening. Uber was founded as “UberCab” by Travis Kalanick and Garrett Camp in 2009 and the app was released the following June. It raised $49 million in venture funds by 2011. Beginning in 2012, Uber expanded internationally. In 2014, it experimented with carpooling features and made other updates. It continuously raised additional funding, reaching $2.8 billion in total funding by 2015. Many governments and taxi companies have been protesting Uber, alleging that its use of un-licensed, crowd-sourced drivers is unsafe or illegal. From the consumer’s point of view, Uber is an incredible service. It costs on average 3 or 4 times less than a cab, it’s incredibly user-friendly and It offers an amazing customer service. On these three points they really crashed the competitions of cabs companies in the Belgian capital. I won’t get into deep about the whole licensing issue (which is a very big issue) and I do understand the protests of taxi drivers who paid tens of thousands of euros to get their license and now they see their investment wasted by the advent of technological progress. What I want to present is my own experience. Last 15 December I had a very intrusive foot and ankle surgery from which I’m still very slowly recovering. Needless to say, my mobility is still very limited. Before going back to work I was terrified of all the walking I would have to go through with public transports. I needed, and still need a car to pick me up and get me to work. If I had to use a cab for these daily movements I would have to spend roughly 25€ a day (going to work and come back). I would have to call an operator every time I need a cab and, speaking from experience, I wouldn’t know when exactly my cab would arrive to pick me up (so many times I have waited over 40 minutes to have a taxi home). With Uber I pay 8€ a day (4€ going and 4€ coming back), I usually have a car at my doorsteps between 4 and 8 minutes, and I can rate my ride and driver. I have a direct contact with customer service for whatever I need and I’m sure this feedback highly helps the company improve and meet its customers’ demands. I can only think of very technology-adverse customers not choosing this option. There are simply no reasons why anybody would take taxis over Uber apart from reluctance in purchasing online services with a credit card. Apart from the pecuniary aspect (the big elephant in the room nobody wants to talk about) the service is just outstanding. A number of times, I was clearly ripped off by cabs in Brussels and most times cab drivers could use more manners. Furthermore, as I discussed in an article about cycling in Brussels, I still don’t understand what it is with cab drivers in Brussels hating cyclists, which is an issue I take personally and experience on a daily basis. When I take Uber this has never been an issue. I even once had an unfavourable experience with Uber (he driver was texting while driving) and their customer service took prompt action in trying to understand how they could improve. Uber is also a deterrent to cars-buying in a city that already suffers from over-use of automobiles and it’s notably the most congested city in Europe and North America. What is your Uber experience? Do you think Uber and other car-sharing services will help Brussels reduce the amount of cars in the city? Yelping matters. That’s right. Reviewing businesses at the local level helps both customers understand how to make sensitive choices when purchasing goods, services or meals and it mutually helps businesses improve themselves. Only those businesses that apply positive constructive critiques to their work and their investments are able to survive and develop a demanding market. Yelp does all that. Many ask “Why not using Tripadvisor instead?” Tripadvisor is a terrific community that helps travellers planning their holidays and not get ripped off when booking a hotel or ordering a meal. The opinions you find on Tripadvisors are mostly from tourists to tourists. Yelp connects locals to locals and locals to tourists. It provides the image of the local people of local businesses. Whether you value more the opinion of one-off consumers or regular community connaisseurs is up to you but the grassroot community building that Yelp brings up is pretty extraordinary, especially in big cities. The case of Brussels is very interesting. A trilingual community (French, Dutch and English) in a very international environment with tourists, expats, businessmen and locals communicating at the same level. I started being engaged on Yelp some months ago and I’m happy to see that my continuous reviewing has paid off. I was made yesterday an Elite Squd Member of the Brussels community. I mainly stick to my field of expertise: food. I love food, I love eating, I love watching my nutrition. As a lad from Parma (yes, one the world capitals of some of the most recognized foods in the world) I’m happy about the improvement that Brussels has displayed over the past few years in terms of food services, making in Forbes Top 10 Cities for Street Food. Belgium is not a well-know and recognized place for its cuisine. Undeniably, Brussels is standing out lately. Possibly the huge inward immigration fluxes from all over the world have helped raising standards, variety and food culture. I am loving this trend. Check out my Yelp profile and follow Yelp Brussels on Twitter. Digital advocacy is assuming an increasingly important role in Brussels. 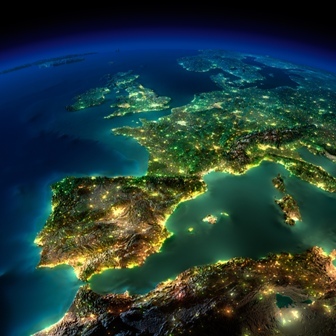 What’s working to engage European policymakers? Can social media platforms help you find other advocates? Which tools work best? These were some of the questions addressed at the latest European Digital Advocacy Summit in Brussels, organised by the Public Affairs Council. In this panel a lot was discussed about the Eurobubble (or Brussels bubble), the so-called circle of (mostly foreign) professionals living in Brussels and working on EU affairs. For an international organization, it is certainly challenging to communicate at different levels of governance and reach different target audiences at the European, national and local level. What could we learn from that panel? An a widespread network of European Direct Information Centres to address and help citizens at local level. Having said that, I am also convinced that people living and working in the Eurobubble do not only communicate within the bubble but they serve as information ambassadors at the national level. The Brussels press corp mostly reports to their central offices in EU Member States and around the world, professionals in various fields often go home and tell people what happens at the European level, civil servants exchange opinions with their national administrations and so on so forth. This is why I prefer thinking about the Eurobubble (whatever that means) as a bridge between Brussels and the rest of the world rather than a self-centred echo chamber. #EDAS2014 what is reality? Each local or national political context exists in its own bubble, and the #eububble is just one amongst many. What I know as a social media analyst is that I have still an awful lot to learn and that I am bound to keep myself in the loop in order to keep providing valid recommendations and understand how the digital world evolves. There is no short-cut in this learning process. This applies to all professionals working in communication. Spend at least 10% of your time keeping an eye on communication technologies, experiment and make sure you get at least a tiny grasp of what may come next in your field of work and expertise. In digital advocacy the offline cannot be separated from the online any longer. These two dimensions work best when they are connected, when they merge. Being engaged online should be (an optional) step one to make “real” connections. Where you European Digital Advocacy Summit too? Share your views with me. 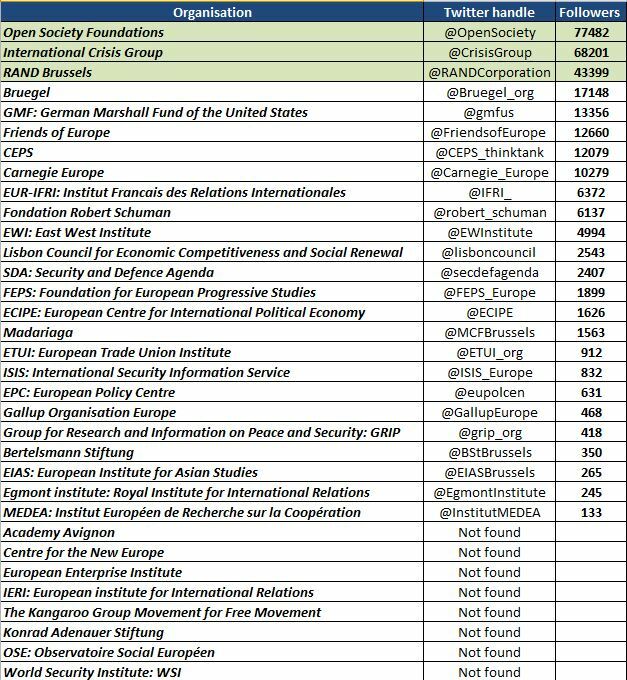 Already last year I made a ranking of the best performing Brussels based think tanks on Twitter, which is to date my most read read blogpost. Obviously, followers are not everything and I’m not advocating that think tanks with more followers perform better than think tanks with less followers. This is why, in this analysis I also added the average percentage of retweets per post for each institution. Today the Brussels Think Tank dialogue 2014 is taking place at the Resident Palace in Brussels (follow #BTTD14) and I have worked on a ranking with updated data including all think tanks that are listed in this excellent master thesis. At this regards, I also find it weird that it so hard to find an exhaustive list of Brussels-based think tanks online. If you have any good link please post it in the comments section below. Out of the 32 listed think tanks, 24 have a presence on Twitter (please let me know if any of the “NOT FOUND” institutes actually have a presence on Twitter). 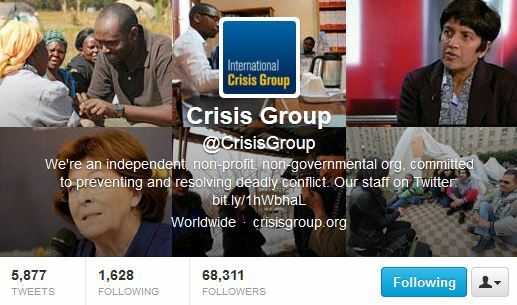 The first 3 in the rankings are Open Society Foundations, International Crisis Group and RAND Brussels. From last year’s analysis, I put aside Fride since they did participate in last year’s think tank dialogue but they are actually based in Madrid. However, even though these 3 are listed in the source I mentioned above, I can’t consider any as a real Brussels-based think tank. 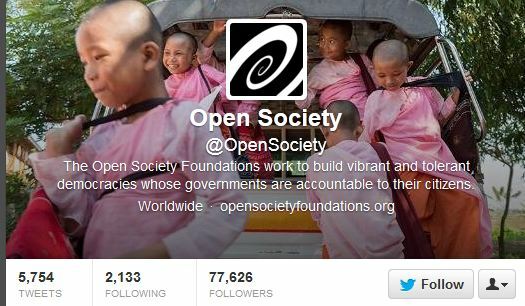 Both OSF and ICG are worldwide organizations (as stated in their Twitter bios). Roughly, the same principle applies to RAND who have mainly US-based office. Below the top 3, this “non-purely-a-Brussels-based-institute” principle should be applied to the German Marshall Fund . Hence, see an adapted ranking below with actually-non-BXL-based TTs in light blue. Following this criteria, Bruegel is the most followed think tank in Brussels, followed by and Friends of Europe and CEPS. In terms of retweets per post, and following the same criteria as exaplained above, the first place goes to Egmont Institute with 44%, Friends of Europe with 37% and the EastWest Institute ex aequo with Bertelsmann Stiftung scoring 31%. Last 5 December I have had the pleasure to attend the iMinds conference in Brussels. iMinds is an independent research institute founded by the Flemish government to stimulate ICT innovation. iMinds brings together companies, authorities, and non-profit organizations to join forces on research projects. The theme of the event was “driving digital innovation in Europe” and the leitmotiv of most presentations during the day was “What if…?” This question is the foundation of every invention, but of course an invention does not always turn into innovation. Because most challenges cannot be solved by a single effort or organization successful and innovative ideas need a structure. One of the first lessons at this regards was given by Bart Decrem (SVP at The Walt Disney Company) who talked about his personal experiences in the Silicon Valley and his involvement in various projects and start-ups, leading up to the acquisition of his mobile gaming company Tapulous by Disney. Bart provided insight into the Disney strategy on mobile content and talked about the next big things he sees coming in digital technology. 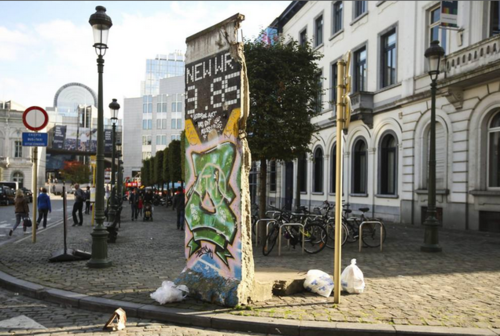 Even though I have tried to keep an open mind on this, the evidence that the Belgian capital is a very dirty city is there, and it is on social media. Just check the hashtag #Bruxellespasbelle (credits to @quatremer )to see a collection of pictures illustrating the very poor waste management system of the city and other generic comments about some of the ugliest corners of Brussels. I don’t think Brussels is an ugly city. Quite the opposite. But the way garbage collection is managed simply has no logic, it is inefficient and horrible. In Madrid, they recently had to face a massive strike by collectors. In Naples, the waste management issue is linked with several criminal organizations operating in eco-crime. But what justifies the disastrous way garbage collection is carried out in the capital of the EU? To facilitate my advocacy, I created a Tumblr called “Brussels Dump” through which I plan to collect tweets, posts, pictures and videos showing how waste management in this city is not working and to then bring this up to the authority in charge via social media. Another similar effort has been put by @Bruxsmells (who has provided quite some material for my Tumblr) and by the blog Dirty Brussels Blog which seems to be inactive since 2011 though. In a couple of posts already I have bashed Belgium’s appalling services and the notorious mobility problems that afflict the city by interviewing the famous @STIB_fail Twitter account. In an effort to investigate on people’s reaction about the poor Belgian service culture, I talked to another Twitter account’s manager who collects all these complaints. It’s @BadService_BE. Let’s see how he made it all happen. When was the account created? The account was created around March 2011. What was the initial reason to open this account? I was literally ripped off by a so-called company and I lost money. I felt so helpless that I wanted other people to know about this situation. Additionally, since I have had heard similar stories from friends complaining about different service providers I decided to create Bad Service Belgium to give the chance to people like me to have a simple and effective way to complain and our voices to be heard. My ultimate goal is to improve the experience of customer service in Belgium. How many people really know your identity? Not many. Family and some friends know about who is behind Bad Service Belgium. I have nothing to hide, but I rather remain not directly connected to the account. Where do you get most of your complaints from? Are they mainly from Brussels? Yes, mainly from Brussels, however I am receiving more and more complaints from all over the country. And from time to time I even receive complaints from tourists who were confronted with poor customer service and were able to find the Bad Service Belgium on Twitter. Typically people complain about public transportation and GSM/Internet operators. This is probably because of the high number of customers they have and the impact it causes in their lives. What is your strategy behind retweets and moderation policy? How many notifications do you get per day? What are they mainly about? It really depends on the day. On a regular day I get between 5-10 tweets. It also depends if people get active on a specific issue, or if there is a big service disruption that affects many people. Have you ever been actually contacted by any of the institutions you complained about? If so, for what reason? Mostly when I retweet a complaint, some companies offer immediate assistance to the affected customer and keep me informed of the outcome. They know that an isolated issue can easily become viral if not treated accordingly. Do you think Belgium offer insufficient services? Can you mention other positive examples from other countries? I do not believe that Belgium is better or worse than any other country in terms of customer service. People get good and bad customer service all over the world. However, because the important international community living mainly around Brussels, there are different expectations from different people. These expectations are heavily connected to their origins and the way customer service is handled back in their countries. Because of these differences and probably also due to a possible language barrier, some people often tend to generalize that there is a bad customer service culture in Belgium. What’s the plan for the future? Do you plan on expanding your communication channels? For the moment – mainly because I am doing this by myself – I will keep trying on retweeting as fast as possible (I manually go through every single tweet I receive for the sake of moderation). I hope to be able to maintain growth in the people that follow Bad Service Belgium (over 1300 followers to date), so a big thanks for all those who follow the account! I have also created a Facebook page which do not seem to be quite successful as the Twitter account. So I still need to elaborate the strategy on Facebook. 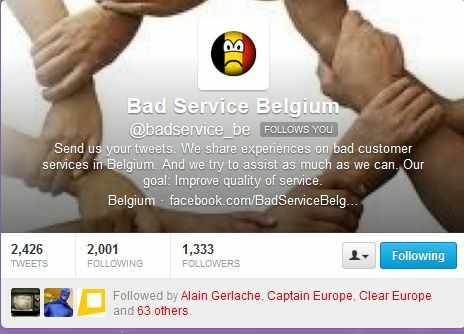 Last but not least, I also created a “Good Service Belgium” Twitter account because I believe that praising for good customer service has even a greater impact than complaining about bad one. I am looking forward to see more people using that account. I only managed to attend one panel at this year’s Europcom. I really like this event. The topics are always very interesting and the participants’ level of expertise is always quite high. I noticed that comms2point0, a regular invitee to this event, made a very good and comprehensive summary of both day one and day two of the conference which I invite you to read. The panel I attended was about the reputation of the EU institutions. Public criticism of the European institutions is on the rise. What is the impact of this on support for the European Union? What tools and strategies can be developed to fight the myths and clichés, and to set up a balanced dialogue with the public? The debate was moderated by Rob Heirbaut and the speakers were Simona Guerra from the University of Leicester; Mélanie McCluskey from the Reputation Institute in Belgium; Sjerp van der Vaart from the European Parliament Information Office in Belgium; Sixtine Bouygues, Director for Strategy and Corporate Communication at the European Commission and Antonia Mochan from the Representation of the European Commission in the UK. In particular, there were three lessons I took from the event. Sixtine Bouygues, Director for Strategy and Corporate Communication in DG COMM, pointed out the importance of two main factors when dealing with reputation of institutions: “transparency and accountability.” While elaborating on this issue, she noted the effort made by the European Commission to rationalise its online presence and harmonise its visual identity. At the same time, another challenge for EU institutions is to guarantee that all information is available, accessible and visible. “Being there and providing efficient information services to the citizens should be a priority for public institutions.” Rationalisation means better spending of public money and easier access for users and these are priorities in DG Communication’s work. Web rationalisation was also the topic of our last blog post written by Robert Andrecs, the head of digital communications in the European Commission. Antonia Mochan didn’t need PowerPoint. She got right to the point during her talk and she discussed some very important topics related to targeting. First of all, “if you don’t know who you are talking to then it won’t matter what you say.” Knowing who you target and how your target audience communicates is absolutely crucial in addressing institutional messages. In all places of institutional importance at both national and international level, it is common to get caught up in professional bubbles, such as the famous “Eurobubble” or, as mentioned by Antonia, the Westminster bubble. No matter in which institutional bubble you find yourself, communicators have to think about the concern and the means of the people they are targeting, not the means and the topics used and discussed only in their bubbles. I hope next year’s edition will include some brilliant insights again and that I will be able to attend more panels.